I firmly believe that 90% of stop signs should be replaced by yield signs. In most cases the purpose of a stop sign is to make sure you allow other traffic to go first, in other words "yield". There's really no good reason to come to a complete stop if I can already see that there are no cars coming. It's pointless, yet I can still get fined for a "rolling stop". The same applies to right turns on red. We are required to come to a complete stop before turning, but why? If the point is simply to make sure we're not pulling into oncoming traffic, then we can do that without coming to a complete stop. Why does the government insist on treating us like we're stupid? Highways in Canada suffer from low speed limits. Take the Henday for example. It's engineered to be driven safely at speeds up to 130 kmph, yet the speed limit is set at 100. Why? It makes no sense. We know we can safely drive it at 130, so why ticket us for doing 110? That makes no sense! Some might argue, well if you set the speed limit at 130 then people will drive 150. I have two problems with that argument. 1. It's not true. People are not going to drive 150 on the Henday because they won't feel safe doing so. There are exceptions of course but those people will do it regardless of the speed limit so the argument falls apart. And 2. The reason people exceed the 100 kmph speed limit is because it's too low, so there's no reason to think people would exceed a limit that was fair. Case in point, on most of the highways I drove through in the northern States the speed limit was either 70 or 75 miles per hour. That's 115 to 120 kmph. And guess what, I rarely exceeded those speeds and when I did it wasn't by much, because doing 120 or 130 is plenty fast enough. I passed plenty of speed traps on those highways doing 80 mph (130 kmph) and not a single time did I get pulled over because the speed was set at a reasonable limit. And when you're driving 6 to 8 hours a day, a little extra speed can save you a lot of time. Why are we so afraid of reasonable speed limits on Canadian highways? Is it really for safety? Or is it just easier to ticket people this way? Obviously I know the answer to that. O.k. so clearly we need to be careful when police officers or other emergency workers are stopped along the highway. I've seen too many stories of police officers getting hit by a car while standing on the side of the highway. So in the States there are signs regarding this that say "Move to the far lane or slow down when passing emergency vehicles". That makes sense. It's essentially telling drivers to be careful. There's no specific speed limit mentioned on those signs because that's really irrelevant. The point is to be careful! Here in Canada on the other hand, just last week, my wife and I passed a police officer pulled over on the side of the highway, so we did both things suggested in the States, we moved over to the far lane and we slowed down, because we wanted to be safe. Guess what that got us? A $500 fine!!!! Turns out we were required to slow all the way down to 60 kmph when passing this police officer, even though we were on a highway where the speed limit was 110 and people typically drive 120. We slowed down to 92 and moved over to the far lane, which means we saw the emergency vehicle and we took measures to be careful, but apparently that's still worthy of a $500 fine!!! Did we really put this officer's life in danger? Not at all, but these rules are not logical. So this is not really a rule of the road but it annoys me the same because it's part of the problem. The media and the government work overtime to make us believe that "Speed Kills" (it doesn't) and that safe drivers deserve to be ticketed (they don't). I'm all in favour of pulling over those who are driving unsafely, but doing 130 on the Henday in perfect conditions when the road is not busy is not unsafe. And if it were unsafe, then how would photo radar make any sense? Proof that photo radar is not about safety. Speed alone does not kill and speed in and of itself is not unsafe. Crashing into a pole kills, and driving on the wrong side of the highway is unsafe, but I am perfectly capable of not crashing into a pole while doing 130 on the Henday, so don't tell me that "Speed Kills". That's ********. Reasonable speed is not the problem and you don't have to treat me like I'm incapable of handling the car at 130. It's insulting. If I was doing 180, then yes that's too much, but 130 is something we can all handle so stop telling me that speed kills. We support speed limits that reflect the UPPER limit of SAFE travel speeds to ensure the reasonable and safe actions of the majority of drivers are legal. We are advocates for laws and enforcement designed to improve safety, traffic flow and efficiency. We reject legislation and/or enforcement which covertly or overtly robs motorists. Good laws should be based on science, and not politics. Still looking but found this below. In the second link, one paragraph says “lane(s)” and the next says “lane”. “The problem is people just don’t know the rules,” said Tim Edwards with the Alberta Motor Association. personnel and equipment at the scene. Last edited by KC; 12-09-2018 at 06:50 PM. I don't think they are nonsensical as designed; they are targeted towards the lowest common denominator in skill level driving the worst car in the worst conditions (i.e. winter). I wouldn't want to be the first ones to experiment with a "upper limit of safe travel speeds" as they would need to be dynamic to address all of the above. speed doesn't kill. It's differences in speed that are the issue. Many larger vehicles have problems with speeds over 100, either getting to that speed, or being economical to run at that speed constantly. 110km/h is pushing it. We also need to learn how to merge at speed before I'd be in favour or raising speed limits on the henday. Just the other day, the driver in front of me tried merging at 60km/h when the flow of traffic was likely above 100, and the volume was fairly decent. The other week, there was a friggen backhoe occupying a lane travelling at no more than 50.... 50. We need minimum limits as well.... And we need laws that ban walkers and bicyclists from these urban area freeways. I'm not in favour of photo radar on the henday though... but I'm not sure we are ready for 130. Last edited by Medwards; 12-09-2018 at 06:47 PM. We got that ticket just outside of Saskatoon, so clearly the rules in Saskatchewan are not the same, but the video you found there seems to be saying that the 60 only applies to the nearest lane. Except they always tell us that speed limits are for perfect conditions. And nobody who gets behind the wheel wants to end up in an accident which is why when conditions deteriorate people automatically slow down often to well below the speed limit. Yellowhead Trail, West-bound, from 149 Street to the Anthony Henday Drive. This is clearly a freeway and can safely handle 110 km/h but the City of Edmonton has it throttled back to 90 km/h until you are past Anthony Henday Drive. Did I mention the City of Edmonton positions the photo radar cameras around the Anthony Henday Drive Interchange with Yellowhead Trail? Watch as the cars and trucks spy the enforcement vehicle and slam on the breaks and cause an accident. Extremely long on and off ramps and zero merging in the field of view under those overpasses. So how do they determine a greater risk from speeding exists there? Not that I’m complaining. Their being predictably useless reduces my risk of a ticket. Some intersections where there is clear visibility before even coming up the road could indeed be made into yield signs. However, most intersections, especially in residential areas, are obscured by trees, fences and parked cars. You can't see if someone is coming until the last minute. If you're just rolling through a yield, you may have to slam the brakes at the last second to avoid an accident. The intersection near my house is obscured, and I see people roll through a stop sign turning right all day long, and the street has parked cars. I hear honking several times a day, and there have been several accidents every year at just this one intersection because people aren't coming to a stop. So yes it makes a difference, and yes people are stupid for rolling through a stop sign where you can even see down the road. The bolded above is absolutely false, and people WILL do 150. When I lived in Europe, there were many highways in the Netherlands and Germany that were 130, and people did 140-160 all the time. One of the reasons the limit shouldn't be higher is that the roads are just crap. Some of the bridges make cars and trucks bounce around a lot just doing 100. Then you have to take into account the run down POS vehicles on the road that can barely make it to 100, the people who can't merge properly by getting up to speed, and the idiots who don't wait for the dotted line to start and just cut straight across 3 lanes to get right into the fast lane. I see enough people doing 130-140 on the Henday as it is, so if the speed limit were 130, then you can bet those same people would be doing 150+ guaranteed. You also can't compare our crappy highways to the interstates. The interstates are in much better condition and are designed for those speeds. Their merging and exit lanes are also longer. Apple and oranges. Speed can kill for many reasons. Most people are oblivious to their car's condition and capabilities, and don't even know how to change a tire. Nevermind ensuring everything is in working order, brakes are good, suspension and steering linkages are in good shape, tires are proper inflated and have good tread etc... So even a failure of the car itself can kill because it's not being maintained/inspected properly. Have you not noticed the amount of car on the road that drove around all summer on winter tires? The steel rims and sometimes the clicking of the metal studs really give it away. Driving in the summer on winter tires is very dangerous because they're very soft and wear quickly. Also, walk around a parking lot and see how many cars have almost bald tires. How many are leaking oil? Have big holes of rust all over them, missing panels, damaged rotors, etc. You really want those cars on the highway with you doing 130 km/h when their handling and braking are severely compromised? And what about when it's raining? It can be raining really hard where most people are driving much slower, but you still have the d-bags in trucks, suv's etc swerving around traffic doing 120. Imagine the limit being 130, you can bet those losers will be doing 140-150. In the end, I'm happy with everything as it is, except how merging 2 lanes into 1 is set up. Speed limits could maybe be 110 on the Henday, but I don't think it's necessary. How far do most people really drive on the henday anyways? 15-25 minutes tops? Increasing the limits will save you a whopping 2 minutes on your commute, big deal. When it's busy, you're lucky to be doing 100 km/h anyways so a higher limit won't help anything. Last edited by alkeli; 13-09-2018 at 08:43 AM. As I said, i was driving through the States where the speed limit is 70 miles per hour and I didn't see anybody doing more than 80, so my statement that people will not drive 150 if your raise the limits is true. There are of course exceptions, but I'm talking about most people. And if the logic behind keeping speeds at 100 is so that when people go 20 over they're still safe, then if that's the case why do they ticket us for it? If they know it's safe to go 20 over the limit we should not be ticketed for it, and furthermore we should just set the limit at 120 because we know it's safe. It's completely non-sensical. Either 120 is unsafe or it's not. And no speed does not kill. I can drive 200 kmph down the highway and not die. That proves that speed alone does not kill. If you combine speed with crashing into a wall, then of course you will die but to make a blanket statement like "speed kills" is nonsense. You might as well say "water kills" because if you fall under the ice you will drown. Should we putting signs up all around town that says "water kills"? Sounds like the brainwashing has already taken hold in some of us. Last edited by Vincent; 13-09-2018 at 09:04 AM. Stopping at the sign would not help the reduced visibility problem because drivers would then need to proceed partway into the intersection in order to be able to see. The potential for needing to brake at the last second is the same. One of the the most ridiculous use of stop and yield signs in Edmonton has to be at 61 Av and Allendale Rd. There is a stop sign where you can clearly see oncoming traffic while looking straight ahead, then a yield sign where you have to look behind you to see any possible conflicting traffic. Most US interstate highways were built for 130 km/h, just like the modern freeways (like the Henday) here, and unlike a lot of Edmonton city streets our provincial highways are well maintained. If your car is bouncing around, it needs some suspension work. If it can barely make it to 100 km/h, it doesn't belong on the road. I used to own a 3-cylinder Metro and I now tow a trailer that is at the manufacturer's recommended weight limit with a Subaru, and the only place I have had difficulty getting up to speed was on the very short clover leaf ramps on highway 2 that the province had mostly upgraded. In addition to the US examples, BC increased the speed limit on the Coquihalla and Island highways to 120 km/h a few years ago, and it hasn't caused more people to drive at 140 km/h. Instead, speed differentials have been reduced and traffic flows better because the rule-followers have sped up. There are a few who just have to be faster than everyone else, but most drivers intuitively recognize the design speed and drive about that fast. As for flooring it when the light changes, traffic would move a lot better if everyone quickly accelerated to the speed limit instead of plodding along while traffic continues to back up behind them. As has been pointed out, the law is Saskatchewan is apparently different than the law here, which clearly allows drivers to maintain the speed limit in the far lane. IMHO, the Alberta law is reasonable and the Saskatchewan law is dumb. Go check out some of the storm water management lakes around town. They all have signs up warning of dangers, and to stay off the water / ice. a vehicle hitting someone at 60km/h will do a lot more damage than at 30km/h. Speed does kill. In fact, if we all drove slow enough almost all the risk could be eliminated. Rules are not there to make sense; they exist to be obeyed. The person who obeys them can be seen to have enough discipline to be trusted. Complaints expose a lack of discipline and a selfishness that preclude one from doing the task well. In a sane world, they would serve as grounds for indefinite suspension of privileges. Again another rather limited view of the world. Rules can be used for a lot more than this. Just one of many other examples would be the creation of rules to exclude others and so protect the insiders. ^^ That was supposed to be sarcastic, right? Really? So if I drive 200 kmph right past you and I don't hit you, do you still die? Did I kill you with my speed? Last edited by Vincent; 13-09-2018 at 11:35 PM. Oh no! "WATER KILLS". Are we all so stupid that we need to be reminded of all the different ways that we can kill each other? How about "HAMMERS KILL" or "TALL BUILDINGS KILL" or "FIRE KILLS"? Should we ban people from lighting fires, building tall buildings and buying hammers? Or we do we trust each other to use these things safely, the same way that we can drive fast safely? Let's not treat each other like we're stupid. We're not. We all know that we can safely drive down the Henday at 120 without killing anybody. And the government knows it too. They just need us to believe that speeders are bad people so that we'll continue to support photo radar and other such sources of revenue. EDIT: Just to be clear, when I say "let's not treat each other like we're stupid" I'm not talking about you and I specifically Matt. I'm talking about the government treating the rest of us like we're stupid because the government is made up of citizens just like us and so we all live in this country together and we make it what it is. Yes you can drive 'safely' at 120 on AHD, but the problem arises when something unexpected happens. People's reactions differ widely, and the chain reactions occurring out of that make things a bit more complicated. You could apply the same principles at 50 or 80 or 150, I suppose. As for flooring it when the light changes, traffic would move a lot better if everyone quickly accelerated to the speed limit instead of plodding along while traffic continues to back up behind them. I don't think that would be better. Especially in city traffic where the next light is a couple blocks away and some vehicles accelerate faster than others. What would be better is if, when the light turned green, everyone in line took their foot off the brake and started accelerating at the same time. Moving as a hive, rather than sequentially waiting for the car in front of you to start moving. I imagine the simple act of taking your foot off the brake when the light turns green (assuming you can see the light) would have a huge impact. ***** lady. (See article below) Seems she’s the only one that slowed to stop and take a picture. Every normal driver before and after apparently just ignored it, seeing it for what it is. Is this road sign in Canada the world's most confusing? Now here in the video linked below, note the behaviour of the driver with the dash cam. Now THAT’S how it’s done! Last edited by KC; 14-09-2018 at 09:00 AM. 10 km/h on all urban roads all the time! It must be mandatory. It must be enforced! It’s the only way to protect precious lives. Think of the children! Think of the children left without parents - killed by speeders doing excessive speeds like 15 km/h just to save a few more seconds! The carnage on our roads must stop. Speed kills! Join the “10kph EVERYWHERE” movement to save 10k lives! If China could do it, we can do it! Last edited by KC; 14-09-2018 at 09:11 AM. 1000000 km/h on all roads every where all the time. It's the only way to arrive at our destinations on time. Think of the time! Think of the time that would be saved that we could now be spending with our friends and family, or more time in the office, if only that daft mayor and council would stop looking out for us!!!! I'm curious how the general public would vote if it was asked of them. "What should be the posted speed limit on the Henday which has been designed for speeds of 130 kmph. 100, 110, 120 or 130?" Why can't we do this on the Henday? It is only a theoretical or laboratory measurement created before a road is even built. The highest design speed for a road or segment is the design speed of its least favorable part. For example, given a road segment with a 60 mph design speed except for a curve with a 45 mph design speed, the entire segment would have a 45 mph design speed. In reality, the road may have a 45 mph advisory speed on the curve and higher safe operating speeds elsewhere. The design speed may be higher than legislated speed limit caps, so it would not be legal to sign some roads at their design speeds. It is based on the capabilities of vehicles and roadways that existed at or before the design speed was determined. Vehicular and roadway technologies generally improve over time. Therefore, as time elapses from when a roadway's original design speed was determined, it is increasingly likely that a design speed will underestimate the maximum safe speed. Last edited by Medwards; 14-09-2018 at 10:05 AM. Design speed means nothing. It's a phrase bandied about by entitled donkey-holes who believe the laws don't apply to them. Safe driving speed depends on weather, tires, load, the physical and mental condition of the driver and his passengers, and a pile of other variables. So many things that it is basically impossible to make any kind of generalization. Potentially, a vehicle driven at any speed whatever can kill someone given the right circumstances. Even if these circumstances happen for only a moment and are brought about by an almost irreproducible series of events. Last edited by AShetsen; 14-09-2018 at 08:23 PM. Additionally as it basically says above, design speed is sort of a blanket generalized number. The freeway could likely have higher listed speeds over most of its length and then speed reductions at just a few locations. Having driven various types of vehicles my feeling is that most SUVs, minivans and trucks are at their safe limit at around 100 km/h. My Saabs and a couple other prior cars: far above that. Last edited by KC; 14-09-2018 at 10:45 PM. A newer minivan /suv/truck is just as safe as a car is at 120/130+ in terms of adequate handling & brakes.... older vehicles of any body style will lose capability as components wear down. 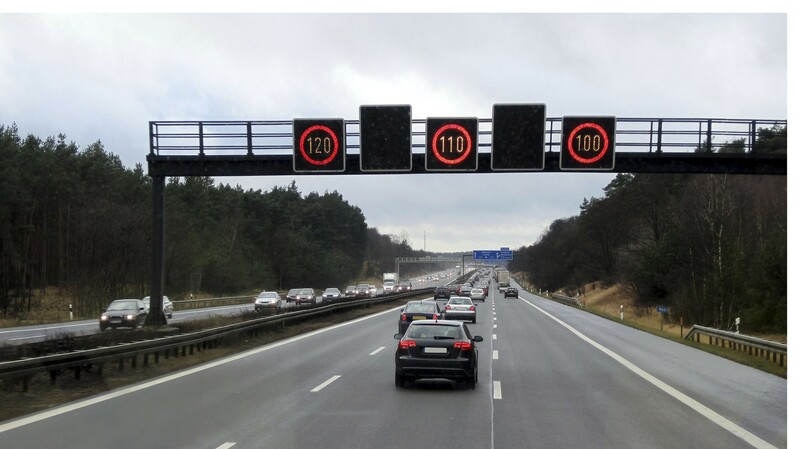 I would generally be in favour of slightly higher limits on limited access & divided highways on the condition that if limits go up I would prefer to see return to a lower night limit like we used to have, or digital signage with the ability to change the limit in real time as conditions change. That we have limited alternatives to our main highways is also an issue - speed differential is a major safety issue and if you can't eliminate slow traffic from your divided highway because the nearest alternative is 50 km away then the only way to minimize the differential is to enforce a lower maximum speed. No, it is a real concept in civil engineering, and frequently "bandied about" by people who think that laws whose purpose is to enhance public safety should have a sound technical basis. In other words, no speed above zero can be 100% safe, and any speed limit has some element of risk. That is exactly why speed limits should be set according to the design specifications of the road and not a political whim. Speed limits are supposed to be maximums, not a suggestion for the proverbial "lowest common denominator". Design speeds assume good weather conditions, vehicles that meet minimum equipment design and performance standards, and an undistracted, sober driver. If visibility and/or traction is compromised by the weather, you should be driving slower than the posted limit (unless the poor conditions have already been accounted for with a variable speed limit). If you are not sober and awake, you shouldn't be driving. If something is distracting you, you should turn it off. If your vehicle isn't in good condition, you should fix it. If you vehicle is overloaded, you should to take less stuff. All of these responsibilities are covered by the law. Why should we modify one law by setting the maximum speed limit below the engineered design speed because some people have difficulty complying with other laws? Because it is a good idea that would improve traffic flow and the COE does not like that. They just want to spend money on slow streetcars. Exactly! Especially the bolded part. I was born and raised in Edmonton and lived most of my life here but moved to Montreal 6 years ago. I travels to many cites in North America and recently did 4,000 km of driving in Europe. I came back to Edmonton for 10 days this week and have these observations. I come in with a a fresh point of view since I can compare driving back in 2012 and 2018. First and foremost. Driving speeds in Edmonton are S-L-O-W! I have never been anywhere where there are so many traffic cameras, radar and red light cameras with no traffic police. I had dinner with a 30 year veteran of the EPS and he confirms that they have zero police officers assigned to traffic enforcement. People mostly drive the speed limit and less because they have been conditioned with fear of overt electronic enforcement. Secondly, roads like WGD and WMD with their 80km speed limits are artificially low. Some of it is to keep noise levels down but when I see new houses a few meters from the QE2 highway just south of the Derrick with a 110km speed limit, I think the artificial slow speed in the city cannot be argued as reasonable based upon noise. The original Capilano freeway that only started at 112th Ave was 100kph but dropped it later to 80. Both roads should be 90 or 100 to reduce congestion. Your observation about speed limits in Edmonton does not surprise me. I also recently spoke with a couple who moved here from Kansas City and one of the first things they noticed is that people drive so slow here. I think the speed limits on most city streets are reasonable or even too high (40 km/h would make more sense than 50 km/h on narrow local roads). However, the exceptions where speed limits are too low include a lot of well traveled roads - Scona road, 99 st south of Whyte Av, 170 st north of Mayfield Rd, Fort Road between Yellowhead and 137 St, Yellowhead between 156 St and the Henday - basically anywhere you are very likely to see photo radar. A note on stopping before turning right at a red. A common accident on right turns is hitting a pedestrian starting to cross. When you look to the right the post between the windshield and the door obscures the drivers view in that direction. Stopping and ensuring there are no pedestrians crossing is a good idea...and the law. Add in vehicles coming from the left and varying speeds and the number of bikes, rollerbladers, and skateboarders coming off the sidewalks into the crosswalks and it becomes even more of a good idea. As for speed. It's pretty well researched that the likelihood of an accident increases with speed. Margins of error drop and events safe at lower speeds become accidents at higher speeds. Further, severity of accidents increases with speed. So increased speed leads to increased likelihood of an accident and an increased severity of that accident. Finally, I think a lot of these casual discussions on topics like this are really hampered by the Dunning-Kruger effect. People either overestimate their own ability or assume other's ability is similar to their own. A yield sign still requires you to make sure it's safe to proceed before you proceed so your argument falls apart. I'm not saying you should be able to just turn without being careful. 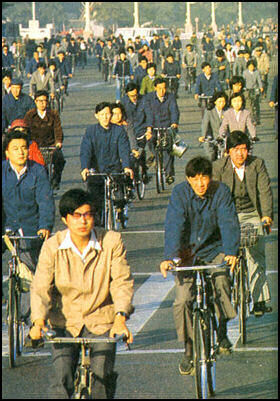 I'm saying if you can clearly see that there's nobody around you shouldn't get ticketed for not stopping. Do you think that driving 120 on the Henday under ideal conditions is dangerous? Do you think maximum speeds should be determined based on the lowest common denominator and force everybody to drive down to their level? Or do you think maximum speeds should be determined based on the capabilities of the average driver in ideal conditions? I think the speed limits on most city streets are reasonable or even too high (40 km/h would make more sense than 50 km/h on narrow local roads). When I see this in front of me, I don't drive 50 even though that's the legal limit. I will drive at a speed that makes me comfortable and allows me to quickly react if children or pets dart out from between those parked cars. Any typical driver will do the same. The narrow road with many parked cars make it much too risky to drive 50, but again the maximum posted speed is supposed to be the "MAXIMUM" speed. In other words, when there are no parked cars, and the road is clear and dry and you can clearly see that it's safe to drive 50, that's when you drive 50. I think this is the kind of scenario where the 40 comes from, but the average driver instinctively knows when to slow down and when it's safe to speed up so it should be entirely unnecessary to lower neighbourhood speed limits to 40. I think the problem is more that we've been conditioned to not think of speed limit as actual limits, but rather suggested speeds. And that's why politicians tend to lower speed limits because they too think of it as a suggested speed, and want to make sure all their bases are covered when conditions are less than ideal. That's not the way it's supposed to work. They're supposed to trust us as drivers that we will slow down when conditions deteriorate. That is correct. People will drive the comfortable speed regardless of the posted speed. On the island of Montreal they have a complete ban on right turns on red. In high pedestrian areas, when the light turns green it is a straight forward with no right arrow to give pedestrians a 5 to 8 second head start. Then you get a green right turn arrow. It works well but the statistics between the island of Montreal with no right turns on red and the Island of Laval that allows right turns on red; show no significant safety improvement. There is a significant increase in traffic congestion due to the inability to turn right on red. Note to bolded above: Really? I strongly disagree! Have you ever seen the size of the pads and rotors on say a BMW 3-series car? They're MASSIVE compared to a minivan, or even a pickup truck! My 3-series brakes were definitely much larger in rotor surface area than my F-150's brakes and had much better stopping power. I've had to slam the brakes doing 210km/h in my 3-series and it went down to 60km/s in a split second. Yes and I've almost been hit and had to yell at several drivers who are rolling through a stop sign or intersection when turning at a red light because they're only looking to the left to see if cars are coming and didn't see me coming from the right trying to cross in front of them. I'm not sure what Canadian roadway would have you doing 210 km/h... and the size of the rotors doesn't matter as much as the rotors ability to displace heat, obviously, if both materials are the same, a larger rotor will displace more heat than a smaller one, but rotors differ in materials used in them from mfg to mfg. Bigger rotors allow more stopping torque due to the longer moment arm. Simple physics. I think he is bragging about going 210 unless it was on a track. If it was on an Alberta road, please let us inform police on your behalf. Last edited by Edmonton PRT; 20-09-2018 at 01:39 PM. Smaller pads and rotors can generate just as much friction as bigger ones, they just need more fluid pressure to do so. They are more prone to failure due to overheating, but that is only an issue with prolonged use and won't make a difference for a single stop. Furthermore, stopping power is ultimately limited by the tires, especially under less than ideal conditions. That's why ABS has become standard - hit the brakes hard, and the ABS will ensure your vehicle slows down as fast as tire friction will allow. South Beverly Heights in a small house with a large lot! !